A Spell for Cancer attraction. This Cancer Spell that works with the Law of Attraction and the power of Magic is to allow you to attract someone from the Astrology Star Sign of Cancer. If you are in love with a Cancer man or Cancer woman you will be aware of the personality traits associated with that Zodiac sign. But loving a Cancer man or Cancer woman can have its challenges and this is where having a Spell for Cancer attraction comes in. Perhaps you know in your heart that your Cancer lover is the one for you, but the stars seem to say you are not quite a perfect love match. You can do something to override any supposed incompatibility by having me cast this Spell for Cancer attraction. Cancer traits are often characterized by a caring and compassionate nature and are said to be family orientated. 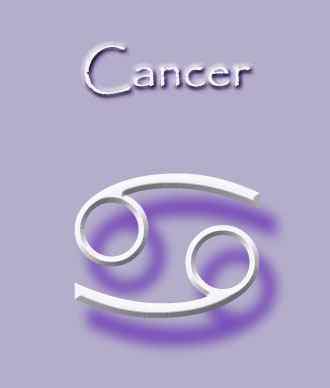 Cancer qualities include loyalty, a clear sense of duty and an innate maternal instinct – whether male or female. The closeness of family life is very important to most Cancerians. And because of these Cancer qualities they often find careers involving healing, nurturing and caring. So the medical and teaching professions are often represented heavily by Cancerians. But loving a Cancer man or Cancer woman can have its challenges and this is where having a Spell cast specifically for Cancer comes in. By using the precise correspondences, energies and elements relating to this Zodiac sign I can cast a powerful Spell to get amazing results. You can ask me to cast your Spell at anytime and do not need to wait until the Cancer phase. This Cancer Spell is ideal if you are or want to be romantically involved with someone who is a Cancer and born between June 21 to July 22. If your heart's desire is a Cancer man or Cancer woman and you want to attract, keep, reunite with or commit to them, then this is the perfect Spell for you. I can cast this Spell as soon as possible. Very powerful and specific energies relating to the star sign of Cancer are used in the Spell casting process. This enables a powerful message and intention to reach your heart's desire. 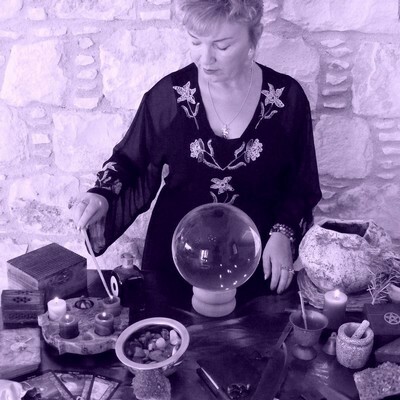 A great example of the power of my Magic was when Sonja living in New York, USA asked me to cast a Spell so that she could get the attention and attraction from a Cancer man she was acquainted with via her work as a Realtor. She wanted their relationship to develop from just a business one to a romantic one and potentially loving and lasting one. Soon after casting Sonja a Spell she told me of how the Cancer man had finally asked her out on a date. She was delighted with the blossoming romance. In Love with a Cancer Man? A Cancer man is likely to change his mind many times when approaching love relationships. One minute they can appear aloof, stand offish and remote whereas the next they can be inviting and easy going. Cancer men can be very shy and often insecure. He may need constantly reminding of how much you care about him. The top tip to seduce a Cancer male is to go slowly and carefully. Cancer men can be difficult to get to know as they retreat into their shell too easily. The Cancer male can be very appealing to most women because they are rarely players preferring instead to be in a loving relationship and find being single uncomfortable and uneasy. Cancer men make great long term partners, husbands and fathers. Family life is very important to them. They can be loving, loyal and sensitive to the needs of a partner. The Cancer man likes to be loved but needs to love and care for someone even more. In Love with a Cancer Woman? Cancer women are loving, compassionate and sensual. If you have your eye on a particular Cancer woman or want to attract Cancer women in general then you'll need to practice the art of seduction. Cancer women usually have a traditional view on romance and courtship and will want to be romanced by you. You will need to take the lead and she will invariably play hard to get. But with perseverance and gentleness you will win a Cancer woman over. 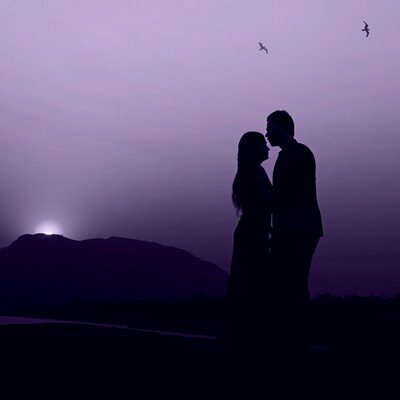 A romantic walk together under a full moon is the perfect date to woo a Cancer woman. Cancer women are very intuitive and will sense any deceit coming from you. You will therefore need to be entirely honest and sincere with a Cancer woman. They are often psychic and can read a man's mind and his intentions! Did you know that during the time period of June 21 to July 22 the positive energies relating to Cancer align? During this time period you may find that you, regardless of your Zodiac sign, become more emotionally attuned to others. Use this time wisely and effectively so that you can have closer and deeper relationships. You can request a Cancer Spell, (regardless of your Zodiac sign) to be cast during the period of June 21 to July 22. Spell casting at this time is particularly beneficial for strengthening romantic relationships. It is also a perfect time for increasing your psychic abilities. Cancer Spells that work with the Law of Attraction are known to be very powerful and effective. Your personal and individual Cancer Spell will be formulated, personalised and expertly cast by me using the relevant and appropriate ingredients to aid speedy manifestation. In all my Cancer Spells, alongside the usual ingredients I use in my Spell casting rituals, I use Rose essential oil to anoint blue candles with and the Chariot Tarot card is placed upon my altar to symbolize the emotions, intuition and psychic abilities of the star sign Cancer. Your Spell for Cancer attraction will be cast in love and light, with harm to none and abiding by the Law of Attraction. It cannot backfire and does not bend the will of anyone.